IWCK – People helping people. IWCK brings together people from all over the world to take part in charitable, cultural, and social activities. The main goals are to support expatriate families living in Kyiv and to help those in the need in the local community. We have over 200 members from different background and countries. IWCK offers many opportunities to socialize, learn, and relax from lunch meet-ups and newcomers' coffees to various interest groups and events. Take an adventurous journey to the family chocolate factory located in Kremenchuk and visit with us Poltava city, where we will stay overnight. Don’t miss a chance to explore this amazing city, dating since before the eighth century, and see its impressive landmarks. Register at president@iwck.org. Come and join us at the third General meeting in 2019. Get updates on IWCK activities and events, meet other members and enjoy a presentation of our special guests. IWCK organizes a special workshop on the topic of Emotional Intelligence. Our speaker will be Luke Woodruff, Director of Kyiv International School, Coauthor of BLOOM: A Guide to Emotional Intelligence. EI workshop will help you to improve relationships with your children, spouse, or anyone in your life, or just get to know yourself a little better. Register at coordinator@iwck.org before March 25. We invite you to spend a lovely morning with organic farmers. You will be able to meet those who weekly fill your family bag with the fruits of their labor. Together, we will taste new seasonal products and talk about everything you would like to know on this topic. Register at hospitality@iwck.org before March 27. According to tradition, IWCK will be organizing a popular outdoor event at the beginning of June. As always, everyone will be able to enjoy delicious food and drinks, pleasant company and beautiful nature. In addition, we are planning plenty of workshops, activities and entertainment for parents and children alike. It will be a great way to end another successful year! IWCK is organizing a PRIVATE Chernobyl tour for our members. The PRICE for a private tour per person is 106 USD. The price of the tour includes: all formal permissions, insurance, comfortable auto transfer Kyiv-Zone-Kyiv, Kyiv pick up and drop off, English-speaking guide, lunch and an extended program of the visit. For additional information or to register contact IWCK Coordinator at coordinator@iwck.org. Come and join us on Saturday, December 8th, enjoy the holiday atmosphere and experience delicious food and drinks, great entertainment program and quality shopping. 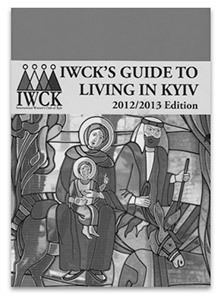 As our primary goal is to raise funds for local charities, IWCK is a registered charitable organization in Ukraine. Join our charity projects which give support to those in need in and around Kyiv, especially children, women, the elderly and disabled. This is a vital part of IWCK’s work and now, more than ever before, our charity projects are valued by the local community. In 2017-2018 IWCK funded 25 charity project and 5 special initiatives. Learn more about each of them here. 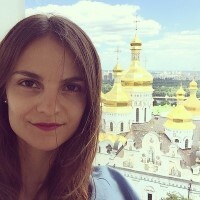 Moving to Kyiv was not an easy decision for me, but IWCK has made my stay a lot more enjoyable for several reasons: I found a group of friends to experience the beauty of Kyiv in a more fun way, I was able to volunteer and join very interesting projects which are developed to help the local community, I had the opportunity to learn a new skill - cooking class. IWCK helped me be part of a great community where I can learn from the members and contribute to the development of the club. I am so grateful to be part the club, it makes me feel like I am at home. 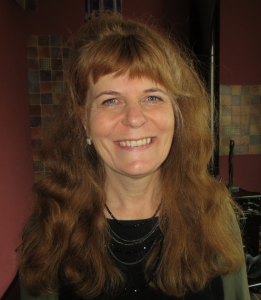 IWCK gave me vital support when my children were young, and I needed to share my thoughts and feelings with other expat mums. I thought that being on the Steering Committee would mean that I was giving something back, but it turns out that, once more, I gained more than I gave.